Staying active and staying connected is an important part of life at Christian Care. 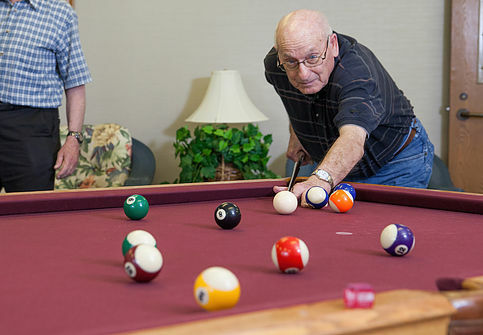 We provide fun, fellowship, fitness and dining services for residents in all three areas of our campus to enjoy and participate in. See what is going on this month at Christian Care by downloading an Activity Calendar. 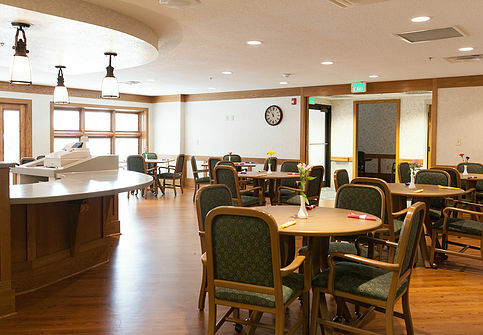 Christian Care offers a unique open-dining program for all of our residents. Main dining room and café are open 12 hours each day. Menus are approved by a registered dietician. Private seating available for parties and guests. Check out other dining options offered at the Three Oaks Cafe by viewing a menu by clicking here. 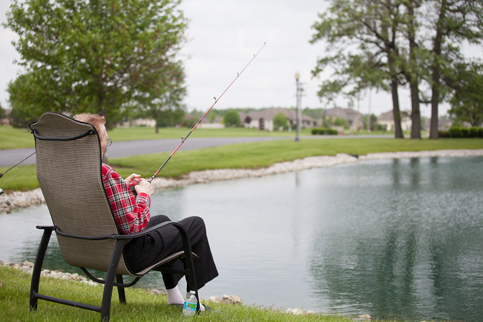 We are committed to helping our residents maintain a high level of mobility, freedom and quality of life. Our Activity Center provides the following opportunities for fitness as well as social events. Weekly exercise and wellness programming in partnership with Healthcare Therapy Services Inc. (HTS) for our Independent Living residents. Treadmills, elliptical machines, bikes, free weights and resistance devices are available in our fitness center. 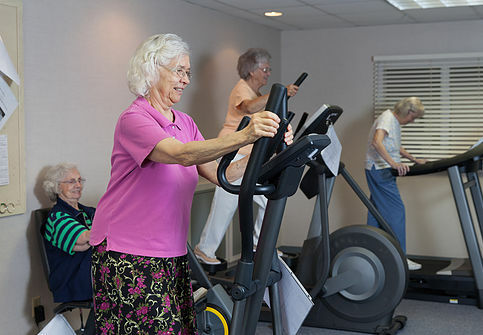 Fitness center is open 24 hours a day for Christian Care residents with use of key-fob. 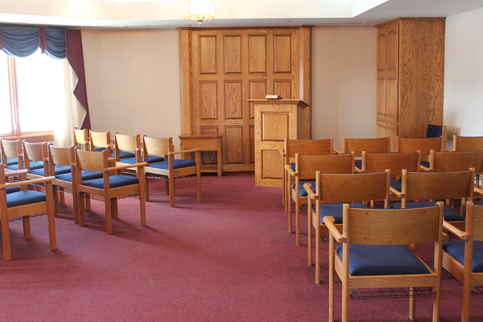 Large gathering room for parties, events and family reunions capable of holding approximately 60 people. Full-size kitchen with sink, refrigerator, stove, range and dishwasher. Serving spoons, tongs, hot pads, towels and washcloths are available for use in the kitchen. 50 cup coffee maker and 90 place settings of silverware are also available. Tables (8 round, 4 long) and chairs (80) are available for use (setup can be provided upon request). Services typically include singing (hymns), bible reading and meditation, and prayer. Communion ceremonies vary by denomination. Apostolic Christian Church Service Times: Thursdays @ 3PM, Sundays @ 10AM. Methodist Church Service Times: 2nd Monday of the month @ 3PM. Enjoy many of the fun activities available in our Three Oaks Living Room.